It’s hard not to like Stoutridge Winery. They do say all the right things, do all the right things, their winery is state of the art, and Kim and Steve are good people. 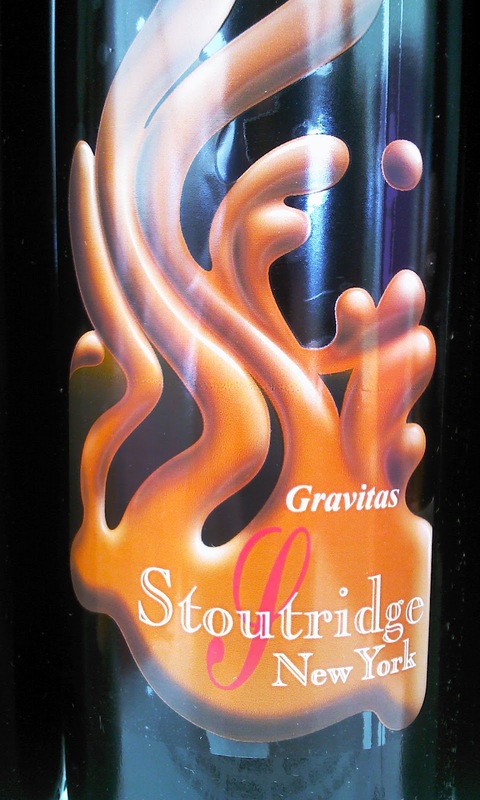 So I was thrilled when I saw a wine I had never seen before….Stoutridge Gravitas. It’s an aged red made from 50% Frontenac and 50% Chancellor. Both of these are big red grapes. 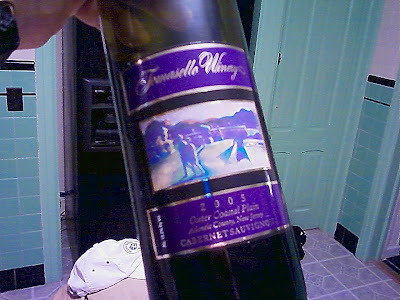 Many use Frontenac for port, and Chancellor is often used as a blender to add color to wines. Since Frontenac needs no help in the color department, it’s easy to understand why this is such a dark, heavy, complex wine. 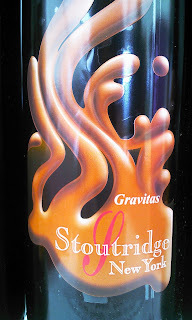 Big dark berries and bursting with cassis, the Stoutridge Gravitas 2008 is a fantastic wine. This is as big and deep a wine from the Hudson Valley as I have ever tasted. Unfiltered and unfined, as many of Steve Osborn’s wines are, this is a huge wine that is aptly named. The color is a dark, opaque purple-red. And the nose is a cross between heavy stewed dark berries (dark raspberries, big blueberries, and ripe blackberries) balanced with vanilla, some spice, and a hint of earthiness. Bright prune and cassis are the dominant flavors, with solid acidity and solid tannins. A nice finish. Congrats to Kim and Steve! I wrote that in 2005, and it still holds true today, maybe even more so than ever. Luckily, living in the Hudson Valley, I have the pleasure of tasting some excellent ciders. It's a lot of fun. ! 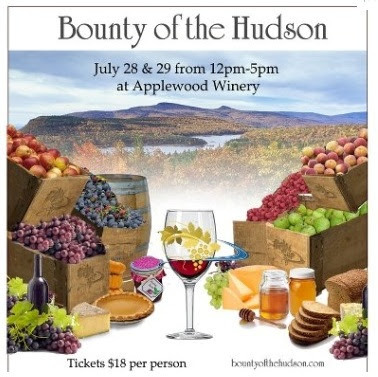 But yesterday I made a new discovery at the Bounty of the Hudson 2012 held at Applewood Winery in Warwick, NY, a stone';s throw from Warwick Valley WInery & Distillery itself. There on the table was something astonishing....a new cider I hadn;t hear about before...Cassis Black Currant Hard Apple Cider. This was a fabulous new cider. 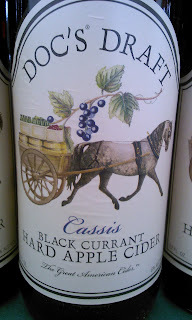 An exceptional cider made with fresh black currants. Like they're absolutely tremendous Raspberry Cider, Warwick's new Cassis Black Currant has all the aroma of cassis, and flavor....with that wonderful berry fllavor and aroma and with the tart cassis like finish, but the apple cider itself never gets lost. The green and golden apple flavor you'd expect come through, and are never dominated. It's incredibly well balanced, and wonderfully nuanced. For more information, contact Tomasello Winery by email at Charlie@tomasellowinery.com or by calling (800) MMM-Wine. For the first time in the 79-year history of its family run vineyard and winery, Tomasello Winery has begun offering “futures” on one of its wines, the 2010 Cabernet Sauvignon Oak Reserve, which is scheduled for release in April 2013. The buzz surrounding this vintage and the recent showing by Tomasello Winery’s 2007 Cabernet Oak reserve in the Judgment of Princeton led to the winery’s decision to offer “futures” on the 2013 release. The 2013 Cabernet Sauvignon Oak Reserve is being offered on “futures” for $33.50 a bottle or for $402 a case. Orders can be placed at http://shopwine.tomasello products.com/index.cfm? On June 8, Tomasello Winery’s 2007 Cabernet Sauvignon Reserve was entered into the Judgment of Princeton, a blind tasting matching some of the finest New Jersey wines against leading French wines, which was organized by journalist George Taber in conjunction with the American Association of Wine Economists. Taber organized the event to mirror the famous 1976 tasting in Paris which he covered as a correspondent for TIME magazine. His book, “Judgment of Paris” details that tasting which pitted then unknown California wines against the best French wines. In Princeton, tasting in the red flight, the 2007 Tomasello Cabernet Sauvignon Oak Reserve ranked fifth behind a 2004 Chateau Mouton Rothschild, 2004 Chateau Haut-Brion, another great NJ wine, the 2010 Heritage BDX and a 2004 Chateau Montrose. Finishing behind Tomasello was the 2004 Chateau Leoville Las Cases. Tomasello Winery has been making wines in what is now the Outer Coastal Plain AVA in NJ for three generations since 1933. While having grown vitis vinifera grapes since the early 1980s, late in the 1990s Tomasello Winery initiated a planting of Cabernet Sauvignon, Petit Verdot and Cabernet Franc from which they have made a Bordeaux-style blend since 2006. The resulting wines have been of consistent quality in favorable weather seasons with 2006, ’07, ’08 and the very promising 2010 as examples. 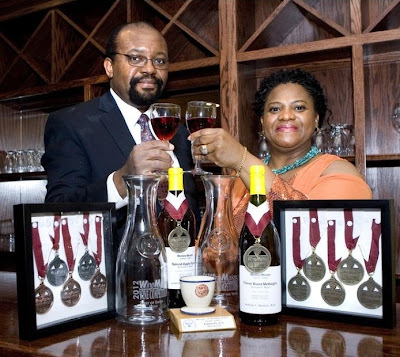 In poor weather years, such as 2009 and 2011 (17 inches of rain and Hurricane Irene), they have chosen to declassify the wines because they are committed to releasing only their best effort. 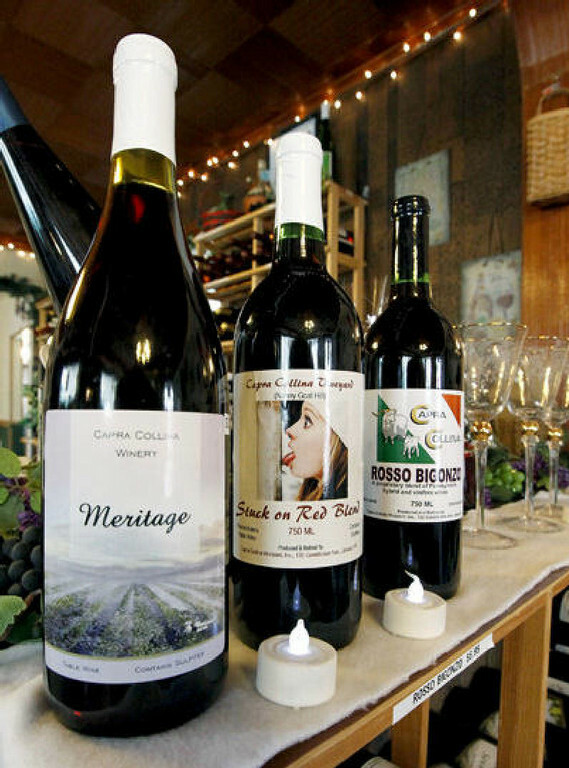 Wines by the Capra Collina Vineyard of Jessup have regularly been a part of the festival. Tickets: $15 advance, $25 day of event, $5 designated drivers and under 21. Deadline for advance tickets is 5 p.m. today. 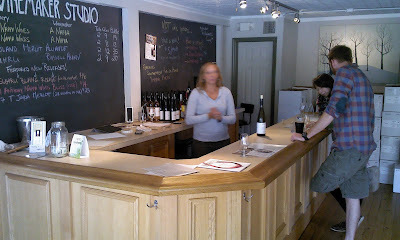 Visit www.upstatewinecountry.com. Doubling event attendance is always a good indication of success, especially when said event hasn’t been around very long. But tripling it? That’s an incredible feat with which Upstate Wine Country’s Back Mountain Wine Festival is familiar. The festival will take place from 11 a.m. to 5 p.m. tomorrow and bring with it 10 wine-tasting booths. Among them will be Antler Ridge Winery, Bartolai Winery, Blue Mountain Vineyards & Cellars, Capra Collina Vineyard, Ferrone Family Winery, Maiolatesi Wine Cellars and Winterland Winery. Vintner’s Circle also will be on hand to let people know about what Tompkins calls a novel experience: The company allows visitors to its Dickson City site to make their own wine. Vendors who specialize in food, crafts, jewelry, apparel and home-and-garden décor will be on hand as well. 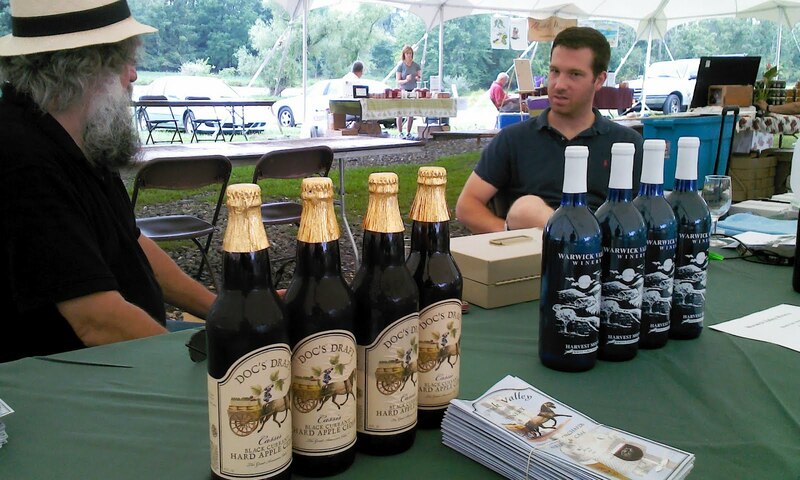 Tompkins started Upstate Wine Country, which organizes festivals all over Northeastern Pennsylvania, in 2006 as a way to introduce people to an undiscovered aspect of the region. Though many of the wineries present are fairly close to greater Wilkes-Barre, some come from farther away. Hudson Valley Wine Goddess Debbie Gioquindo did a great tour of Millbrook Vineyards, Benmarl Winery and Whitecliff Vineyards and Winery. Learn about a geo-thermal winery, Babydoll sheep and how it helps the environment. Hudson Valley Wine Goddess Debbie Gioquindo explores these wineries with Kim Hart for a Cablevision Special that aired on July 4. THE WINE PROFS SERIES: PART 3 HOUSE CALLS. TRAVEL. WINEMAKING. 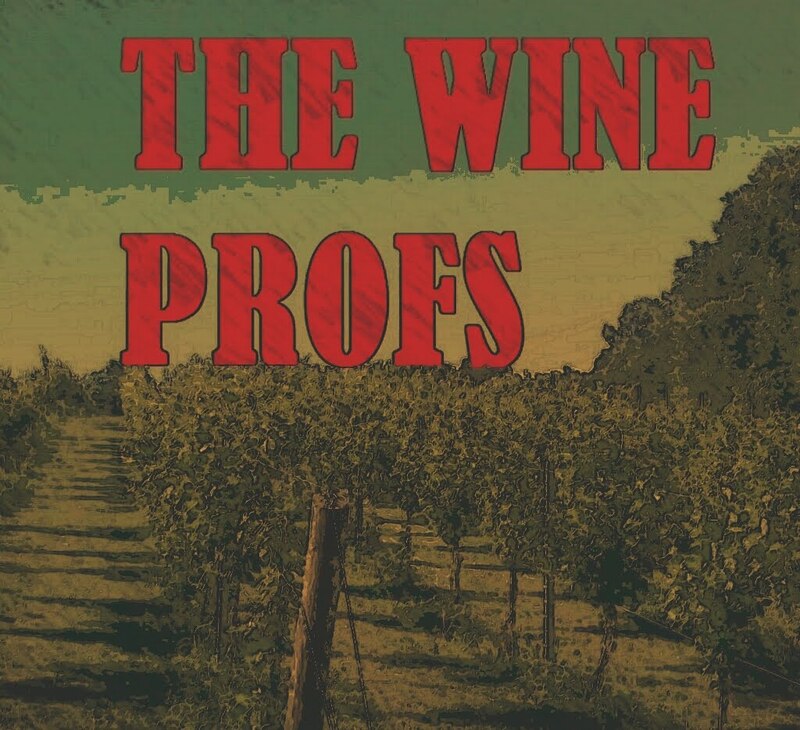 This is a multi-part series about wine professors at the various schools focusing on the east coast. I have not covered every state, i.e. Vermont, New Hampshire, Connecticut, etc. I have only focused on those from the major programs and who are seemingly spending a lot of time interacting among industry professionals at conferences, etc. These are the most recognized profs on the east coast. Apologies to anyone who feels they were left out. Happy to take contributions for up-coming segments. The idea of this series is to shine a light on what it is that wine profs do and the services they provide to the industry. PART 3: HOUSE CALLS. TRAVEL. WINEMAKING. Gary Pavilis still makes house calls. And as someone who’s involved in both the New Jersey and Pennsylvania wineries he has a lot of influence. His most recent announcement was so important, that the newspapers picked up the story. Pavlis announced that the New Jersey Governor’s Cup Competition would not longer accept contest entry wines that weren’t made from grapes grown in New Jersey. The grapes in those bottles had to be made from grapes grown in the Garden State. This is an example of how the east coast is evolving, maturing. “This is a big step forward for people who grow grapes in New Jersey,” Pavlis announced to the 24 judges at the competition, held at a Rutgers facility in Cream Ridge. “I said for years that New Jersey has some of the best sites in the East for growing grapes.” The New Jersey-only rule knocked the number of entrants into the Governor’s Cup Competition down to about 300 compared to the usual 350 or so. As an example of what could be accomplished in local grape growing, Pavlis was talking about places such as the lima bean farm in Cape May, N.J., that switched to grapes and became Hawk Haven Vineyards, one of New Jersey’s brightest newcomers. Those are the kind of results and opinions that The Wine Profs want to hear and by passing along information have been able to make happen. There’s “a level of intense viticulture that’s going on. Everyone has gotten the message that wine is made in the vineyard and if you want to make great wine, you’ve got to make great grapes." Bruce Zoecklein - Yes, but I as I alluded. I don’t just knock on doors. Because of the limitations of time, if a winery has something in a bottle I’ll come, but the analytical service also does the same thing. It’s a fee based service. In many cases I know their equipment etc. I do a lot of house calls for start up or the very early state of site selection. I have a cd on winery planning and design. Denise Gardner - Many wineries call or email me for questions, but occasionally I have visited wineries that have asked for opinions on how to improve a specific area of their production. Anna Katharine Mansfield - In keeping with our different job duties, Chris does more winery visits than I do. There are only two of us, though, to cover the whole state- so we aren't able to drop everything and drive out to wineries to help them when, say, their pump is broken and they don't know how to fix it. We're always trying to develop programming that reaches the most people at one time, so shortcourses and web-based materials are more of a focus than individual winery visits. Chris Gerling - We do like to get our and see the wineries whenever we can. Time is the limiting factor for both the winemakers/ winery owners and for us. There is no better place to talk to industry folks than when they're in their element, however. Do you travel around your state much? Denise Gardner - Yes, I travel throughout Pennsylvania quite regularly – for workshops, seminars, conferences, winery visits, etc. Anna Katharine Mansfield - Yes- we're enology extension support for the whole state, which has 5 distinct regions, and we make an effort to visit at least 4 of the 5 regions every year- to bring programming of some sort and to visit some wineries while we're there, in an attempt to learn what types of programming is needed, or what technical questions are common. We base our planning for future workshops and research from those visits and feedback forms at our programs. We were on Long Island a couple of weeks ago, and today we're headed out to Lake Erie. I was last in the Hudson Valley in February for the fruit school meeting, and we are planning a workshop for the eastern part of the state (Herkimer) in May. Are people welcomed to make appointments, etc.? Bruce Zoecklein - We don’t get a lot of drop ins. But we’re far away. Virginia Tech is an hour and half from the nearest wineries. Short courses, seminars, we call in colleagues either practical and enologists….I try to roll folks into the programs…we bring in industry professionals, South Africans, French, etc. We have a strong effort to provide the region with international to understand the latest thing going on in the industry world wide. The lab service is a great conduit to source and originating information. 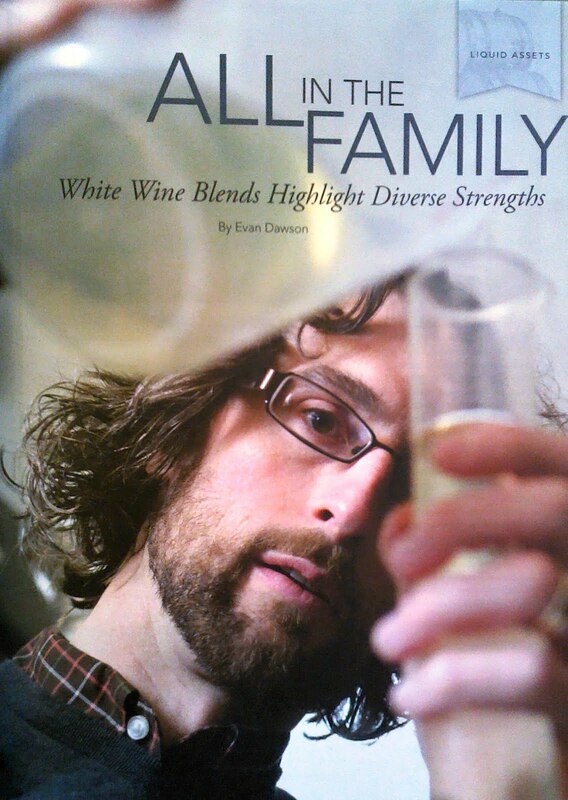 Most of the wine industry has texts books. I’ve written on wine production. I write enology notes that goes out to 3500 people around the world, which is a great way to disseminate information. Denise Gardner - Yes, I have had a few winemakers visit University Park and others that have called specifically to visit their winery. If a winery visit is requested, I usually ask that wineries involve other Wine Trail members or other wineries close to their site. I’ve done several winery visits this way that have been quite successful. Anna Katherine Mansfield - I'm not sure what you mean by appointments. As I mentioned, we aren't able to make house calls. Industry members are welcome to make appointments to visit us in Geneva, and we do respond to e-mails and phone calls. If people call with questions we try to help them in whatever ways we can. The first step is usually to send a bottle into the analysis lab to check it out. As Anna Katharine mentioned, people are always welcome to stop by. If someone would really like us to visit, we try to schedule those in conjunction with planned trips or tours, but we don't make any promises (at least not in a given time frame). “Most of the varieties I grow and make wine out of are not the traditional varieties, because I'm trying to find the Albarino, the Petite Verdots, the things like that that are catching on and are doing really well in our area, that grow viticulturally well, survive our winters, make great wine year in and year out. They may not be household names yet, but once people see them. To me, if you can make a great wine year in and year out, eventually people will learn that wine in that region and that wine will be accepted and people will learn the name. That's opposed to trying to force the issue with another variety that's known but just doesn't do well consistently in our area, whether its surviving the winters or get ripe enough each year. That would be like Cabernet Sauvignon,” Fiola told Patriot-News journalist Paul Vigna. Joe Fiola - I think it’s real important for people in this state to get a barometer on how the state is doing overall and how one winery is doing against another winery in the state . . . how the Meritage wines are doing, the Vidals, how the Chambourcin is starting to fit in. That's real important for us to see within the state what we’re doing well, what we are continuing to improve and what we need to improve…We’re starting to create our own little niche of what we can do best, and that’s a good thing…It’s an incredibly diverse state from west to east as far as climate is concerned, and I don't think Maryland will ever be known for one distinct [wine] because of the diversity we have from the mountains all the way to the southern and Eastern shores. It will always be a challenge for us to be known for one thing in particular. 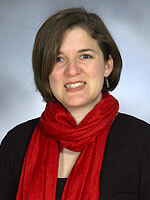 Denise Gardner - I don’t think I have had a huge difficult experience, although I’m fairly new to this position. I remember I was really stressed out about hosting my first program back in January. I was worried I’d forget something or everyone would hate it. Not surprisingly, I was just psyching myself out! It went very well, and I had a really nice time with all the participants. Anna Katharine Mansfield - In general, it's difficult to please everyone in our very large industry! We have industry members at all levels of knowledge, so all of our programs and publications need to be structured so that everyone can learn something, and no one is left out. That's challenging, and sometimes leaves individual attendees feeling that they didn't get enough technical information, or that we moved way too fast. It's hard to find the right balance. Chris Gerling - I strongly second [Katharine’s] statement. Regarding helping with problems, people also have very different levels of experience and expectations of what extension can do for them. I would love the ability to fix every problem for every person that calls. That's not a particularly realistic, or even maybe productive goal, however. We need to help people so that they can mitigate whatever went wrong this time and then teach them to avoid that problem in the future. Still, I think extension people just want to help others and it's frustrating when you're unable to do it, even when they dialed the wrong number and are trying to make a dental appointment. Recently the highly acclaimed winery Black Ankle Vineyard made an Albarino. It was so popular they sold 75 cases in 18 sales hours. Fiola pointed to this kind of success to Paul Vigna, telling him, “the grape has offered a number of signs that it can be a player in this region, primarily because it's thick skin can ward off the diseases that arrive alongside the heat and humidity of a normal summer…It is a fairly well-known and respected name among wine drinkers, but once you get past that 5 percent that really know wine and really know varieties, [the knowledge about it] goes down quickly…There is quite a bit of interest, primarily from the viticultural end because it has fairly thick skins and it seems to do well in our environment here in the mid-Atlantic. It also seems to develop pretty good varietal character, what people call classic varietal character from the Spanish and Portuguese side of things . . . as far as getting the fruit but the mineral characteristic. It seems to be fairly expressive of that." According to Vigna, Fiola noted that the power of Black Ankle's brand has helped push a varietal that remains a stranger to so many wine drinkers. 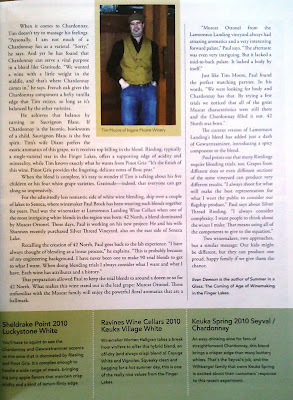 "They have enough clout with the quality of wines they are producing that they are putting wines on the map themselves. They have such a strong following with their case club and bottle club . . . that until they get their new vineyard coming in, I don't see their Albarino being available to the general public other than through their case club because it has such a cult following right now. I think I have one bottle of that in my wine cellar right now. That's how little of that actually gets around." I’m basically blessed with having the best job in the world. My passion is the research part of it. I have four research vineyards in Western Maryland. We’ve brought in varieties from other areas around the world that are adaptive to southern growing conditions in eastern Maryland. It was a lot of work. It’s very exciting, now, tasting the wines for the first time. Petite Syrah and Petite Verdot have been grown and tasted in Maryland. It’s very exciting. I’ve gotten a lot of growers interested. We have exclusive right to this one new variety. In the last three, four years I’ve won silver and gold medals with it. Very exciting. Bruce Zoecklein - I was reminded the other day in Romania. A winery project in Romanian. We went to Murfatlar. I visited with a vigeron who was managing about six or seven hundred hectars of grapes. He didn’t speak English. We had a translator, a reformed communist. I asked him, “What is your major limiting factor in managing this vineyard?” Roughly replied through the translator, he reminded me of the universal winemakers mantra, his favorite time of year was mid way between the flood and the drought. When I came here to Virginia...going to a place like Virginia was tangential. The California folks thought I was excommunicating myself from the wine industry completely. They suffered from the talking dog syndrome. People were so enamored with the dog that could talk, that they didn’t realize he couldn’t talk very well. People were thrilled they could grow vinifera. It didn’t matter if they were growing it well or not. We wanted to make that difference. Denise and Anna were here with me at Virginia Tech. Virginia has already rounded that corner. There are already people making really high quality wine. They don’t have to justify the region to others. There was also a major problem with communication. Now we have a lot of science based information to further our understanding of what it takes to grow quality grapes and make quality wines here. We use that science base and move away from imperial information [unverified best practices that had informed the industry in years past]. Now our industry is a much better, more science based model. Gary Pavlis - We have to find those sites and we have to stop growing grapes where they should not be grown. It's just not profitable for one thing, but also because the quality won't be there. That's a biggie. You just don't sit down one say and say, I'm going to grow grapes and I'm going to do it well without a lot of education. That's the first thing. Secondly, it's the whole winemaking thing. That's a biggie, too. The problem often is, we don't want to be like California and produce Cabernet and Merlot; our sites won't allow that anyway. I think it's actually a plus that we produce a wide range of wines to please many palates. The problem though with that is, from a media standpoint, is when a winery produces blueberry wine, they [media] don't take them as seriously. It's going to take time, it's going to take education, it's going to take consumer awareness of what goes on. I think the media can definitely play a part in that. To me, when you really start getting into wine, the beauty of that is, you never can know it all. There's just so much out there to experience. To experience only California wine is like wearing the same pants every day or driving the same car the rest of your life. It's just boring. Denise Gardner - The most fun I’ve had is getting to know all the wineries. Pennsylvania has such a dynamic group of winemakers, winery staff, and viticulture personnel. There’s so much to learn from them, and I really appreciate their support, insight and knowledge. It’s also a lot of fun to make Pennsylvania consumers aware of the industry. I love hearing stories from Pennsylvania residents when they visit one of their local wineries and feel like they’ve had a wonderful experience. 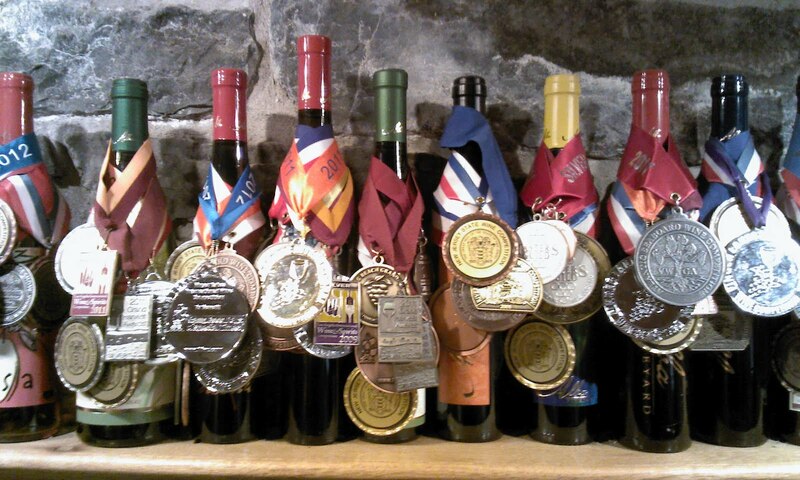 It keeps them going back for more Pennsylvania wine, and opens them up to exploring other wineries in the state. 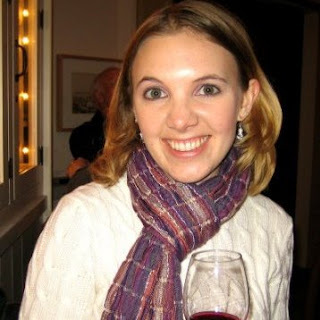 Anna Katharine Mansfield - Running programs and workshops is always fun- it's nice to interact with industry members one-on-one, and to be successful in collecting and communicating the latest scientific work in ways that make it useful to winemakers. Chris Gerling - When you think that the information you're providing is hitting a person in way that they are both getting it and enjoying it, that's great. I also just love being a fly on the wall when winemakers are talking about what they do and they're being totally honest about their methods, their opinions, their own strengths and shortcomings, and so forth. When people are being critical of wines but there's not an ounce of tension in the room because no one is taking it personally and everyone's trying to improve and help each other, that's also great. Finally, every once in a while we get sent a wine or told a story about one that is hilarious. Tragedies and the steps taken to salvage them are often entertaining, and since we're not performing open-heart surgery, we can laugh at the outcomes (mostly). Often enough, the crazy abnormality becomes some specialty wine that a winery's customers won't let them discontinue. 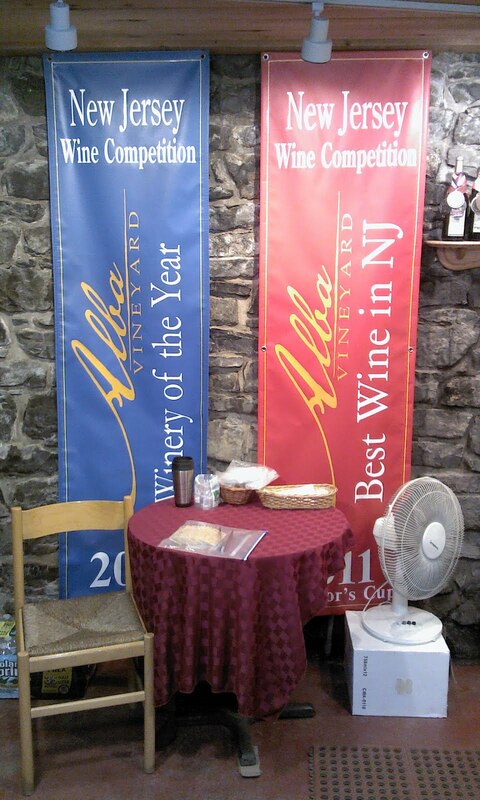 While I was at the Finger Lakes Wine Festival 2012, I had the occasion to sample some wines from Villa Bellangelo. Villa Bellangelo is situated in a magnificent location atop a hill overlooking central Seneca Lake. Their tasting room has offered visitors breathtaking views for more than a decade, but these historic lands have been a part of the heart of Finger Lakes agriculture and grape growing for centuries. Villa Bellangelo winery was founded in 2002 by Michael Litterio as a Finger Lakes winery with a vision of the future. Michael initiated a tradition at Villa Bellangelo of crafting wonderfully distinct Finger Lakes wines, by blending traditional European and modern American winemaking methods to produce some of the area’s best wines. Villa Bellangelo produces a wide spectrum of wines including Riesling, Gewürztraminer, Seyval Blanc, Merlot, Chardonnay and Bellangelo's signature Moscato. The Missick family recently acquired Villa Bellangelo from Mr. Litterio and looks forward to continuing the winery’s traditions. They are in the process of creating a Cream Sherry and intend on reproducing the Bellangelo Port that proved to be so popular in the past. The winery is temporarily closed to the public, but they are still processing online orders through their website at www.bellangelo.com. 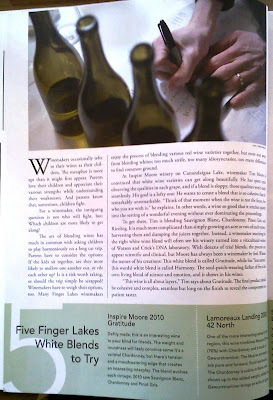 Among the changes initiated by the Missick family in 2012, was to hire a highly acclaimed winemaker, with a distinguished reputation for making wines that are true to the terroir in the Finger Lakes - that winemaker is Ian Barry. Ian's experience stems from having served as winemaker with the large commercial wineries such as Swedish Hill, and wonderful boutique craft wineries such as Keuka Lake Vineyards. Villa Bellangelo is fortunate to have Ian Barry as their winemaker. He’s a good guy and a hellava winemaker. Dry Riesling 2009 – This is not one of Ian’s wines, but nonetheless, a nice wine. The grapes were sourced from Seneca Lake and fermented cold to preserve the bright fruit. Tropical fruits and big apple on the nose give way to pear and apple, good solid dose of mineral, and a nice citrusy ending. Seyval Blanc 2011. This is a lovely example of what this French-American hybrid grape can produce. Very nice! Big whiff of Granny Smith apples, peach skin and star fruit come across as promised. Just a slight hint of grassiness. Nice fruit, nice fresh bright acidity. Excellent finish. Wonderful! 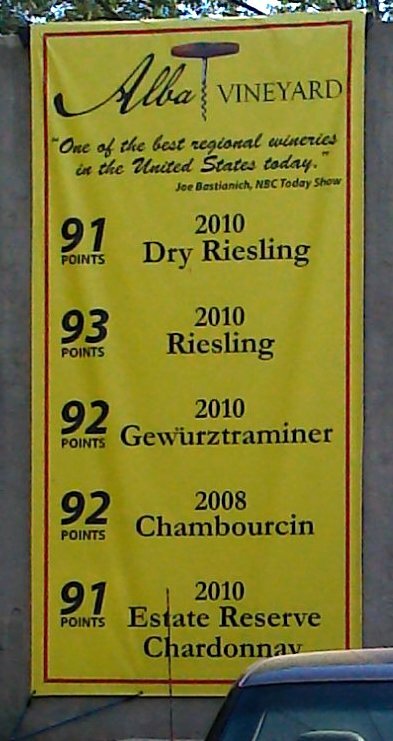 Gewürztraminer 2011 is Barry’s nicest work here. The wine in incredibly aromatic, lychee, floral notes, tropical notes all dominate the nose. A delicate light bright white with fantastic flavor! Refreshing. Delicious! Semi-sparkling Moscato 2010 is made from 100% Valvin Muscat. This wine is a light sparkling wine (frizzante) Lychee fruit, pineapple and tropical flowers all come through as promised. A lovely, lovely wine. Francesca Rossa 2009 is a dry red blend of 80%Merlot and 20% Cabernet Franc. This is a medium-bodied wine with nice color and pretty nose. Black cherry, vanilla, cassis and plums all come through as promised. Nice acidity and nice tannins give the wine structure and balance. Sits on the tongue a long time. Very nice! 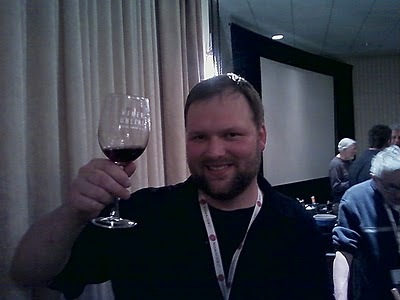 The wines were good, and with Ian there, there's no reason to think they won;t improve. Nice to see this winery moving in the right direction and an eye toward improving. There can never be enough wineries with that aim. Looking forwar to tasting more from them....and seeing what Ian does here in the next few years. 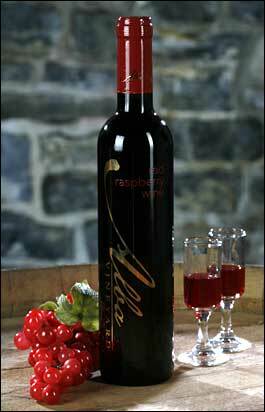 I am a huge fan of Alba Raspberry dessert wine. the wine received a 91 from Wine Specator, and is easily one of the best dessert Tines in the United States...period. End of discussion. so I was thrilled, when I showed up at 5pm at Alba Vineyards the other day, after a long day, and was able to buy two cases (some for me, some for friends, and some for a wine dinner). But while I was at Alba I knew I needed some wine for a dinner I was going to. I was told to bring a white, but with no further profile. What to do? Well, I believe in local, so you knew where my head was going. Alba Vineyards is nestled in the Village of Finesville, New Jersey. A great deal has changed here in the last twenty years. They have created a recognizable style of wine making which borrows from the past, looks to the future, and emulates the finest wineries in the world. 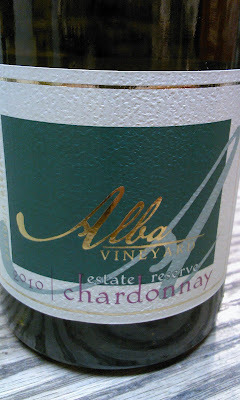 Alba has firm belief in minimal-impact, renewable viticulture, and follows through to the store shelf. Built in 1805, their historic barn now houses their winery and tasting room, as well as the Musconetcong Art Gallery. Within the old stone walls, the aroma of fermenting and aging wine fills the air. Remarkable care was taken in converting the 190-year-old structure into a modern, efficient winemaking facility. The character of the limestone walls and old oak beam framing has not been lost with the installation of modern equipment; in fact, the new lighting system serves to reveal the inherent beauty of the stonework as never before. 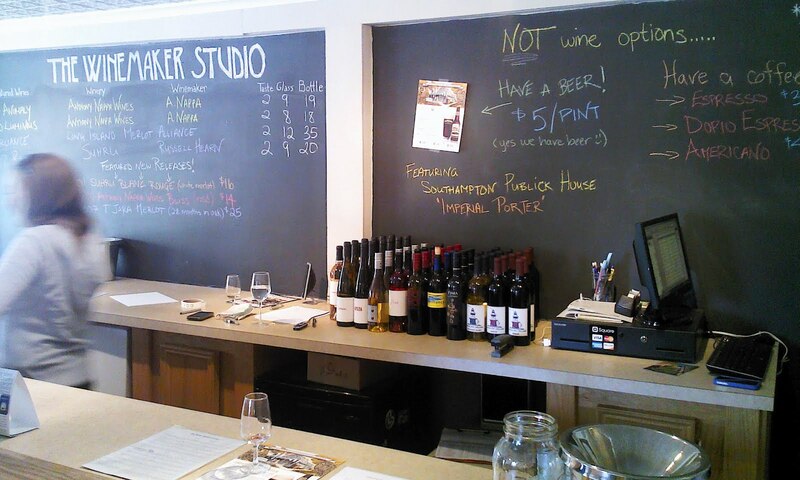 Located in the oldest part of the building, their tasting room also serves as their showroom, where our complete selection of wines, produced here on the premises, as well as gift items, etc. The Red Raspberry is fantastic! Produced entirely from whole red raspberries, the skins sit in the wine for twenty days to maximize the fresh berry character. The wine is finished sweet, with a slight tart edge to provide a rich berry experience without a cloying, syrupy finish. Their winemaker made this wine for the first time in 1983, and it has since received numerous regional, national, and international awards, most recently scoring a gold medal in the World Wine Competition and a double-gold medal in the Tasters’ Guild International Competition (2006). I have served this wine to friends, family, and other wine drinkers over the years, and it never fails to impress. Amazing! The 2010 Estate Reserve Chardonnay is made from Dijon clones planted in high density on a southern facing hillside enriched with natural limestone. The wine was aged in the French Oak barrels where it completed malolactic fermentation. Granny Smith apple, hints of pear and tropical fruits, blended with a hint of vanilla and spice round out the nose. The apples and pears come through on the palate, followed by a lovely, creamy texture, and a refreshing finish. The acidity is nicely balanced with the fruit. An elegant, complex wine. It is absolutely lovely. One of the best Chardonnays in New Jersey, and an easy competitor for anywhere else on the east coast. This is an absolutely surprising and lovely wine! Alba Vineyards was absolutely a fantastic visit. I am sorry I couldn't have gotten there a little sooner and done a more full tasting, but they stayed open just to accommodate me. Thanks folks! And a great pair of wines...they were a hit last night at the Hamilton Grill in Lambertville! Enjoy! Connecticut wines will be on full display at the fourth annual Connecticut Wine Festival, Saturday and Sunday, July 28th and 29th, at the Goshen Fairgrounds, in Goshen, Connecticut. Featuring some of the finest, award winning local labels, thirteen participating wineries – all members of the Connecticut Vineyard and Winery Association (CVWA) – will be offering samplings of their many wines, while surrounded by music, artisan crafts, and wine lovers from all around the East Coast. Daily admission to the CT Wine Festival is $25 in advance, available until July 21st at any participating CVWA winery, online, or by phone; $30 at the door. These tickets include free wine tastings, a commemorative festival wine glass (for the tastings) and a tote bag. Guests under 21 and designated drivers can attend for a reduced admission price of $10. Photo ID with proof of age is required for the wine tasting. Hours of the Festival are 12:00 Noon to 7:00 PM, Saturday, July 28; and 12:00 Noon to 6:00 PM Sunday, July 29. 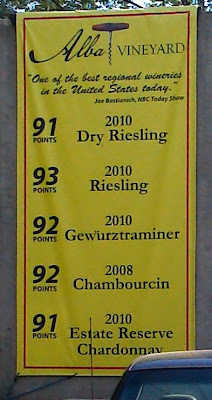 More information and a complete list of participating wineries can be found at www.ctwine.com. Among the special events at the Festival is a wine class on Saturday, July 28th, conducted by Renee Allen, founder and director of the Wine Institute of New England, which promotes wine appreciation and education at every level. Renee is a Certified Specialist of Wine and a member in good standing of the Society of Wine Educators, the internationally recognized accrediting organization. Connecticut wines are making their marks in the world and growing in popularity. Last year’s festival drew a record number of attendees, including one special visitor, Governor Dannel P. Malloy. This year, a representative from the Governor’s office will be on hand to receive a special “Certificate of Appreciation” for his ongoing support of the local wine industry and its important contribution to the state’s tourism effort. Tickets can be purchased in advance until July 21 at: Bishop’s Orchards Vineyards, Gouveia Vineyards, Jones Winery, Hopkins Vineyard, Miranda Vineyard, Sharpe Hill Vineyard, Sunset Meadow Vineyards, and Taylor Brooke Winery. Advanced tickets are also available at Adams Hometown Market, a Platinum Sponsor of the Festival. Proceeds from the Festival will go toward promoting the CT Wine Trail and the Connecticut wine industry. The CT Wine Trail is a state approved winery and vineyard awareness program that provides visitors with route suggestions to all participating members of the CVWA. Visitors enjoy special wine tours and tastings, and can have their CT Wine Passport stamped at each winery along the trail for the possibility of winning prizes – all while enjoying the beautiful Connecticut countryside. 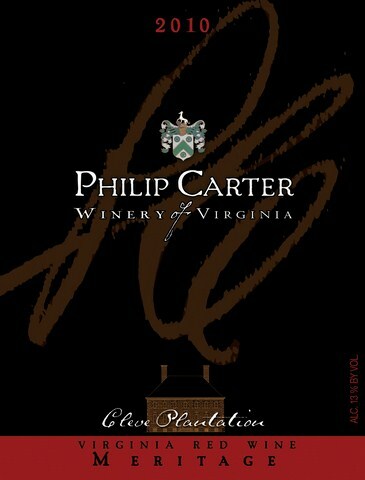 For more information and to purchase tickets, visit a participating winery or log on to www.ctwine.com. 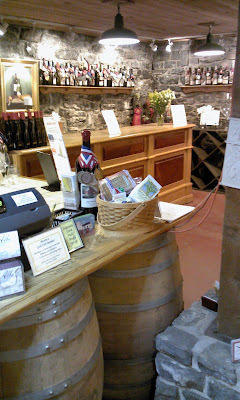 You can also email infoctwine.com or call (860) 677-5467. The following wineries will be present at the Connecticut Wine Festival. They are all members of the Connecticut Vineyard and Winery Association, and are dedicated to promoting Connecticut as a wine-producing region. For more information and to purchase tickets, log on to www.ctwine.com. 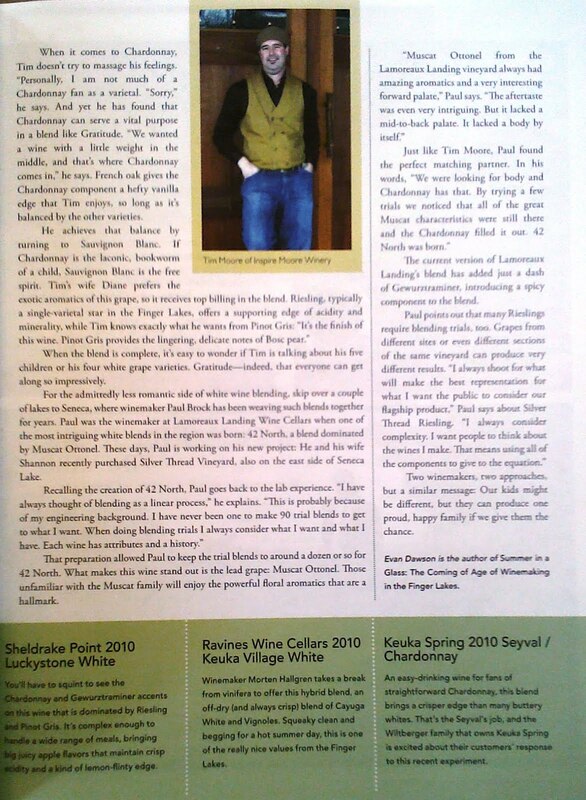 You can also email infoctwine.com or call (860) 677-5467. View full sizePhoto Courtesy of Villa Milagro VineyardsCustomers take a 35 minute train ride along the Delaware River to Villa Milagro Vineyards as part of the Warren County Winery Train. Taking a meandering train ride along the banks of a scenic river en route to a wine tasting at an organic vineyard sounds like something out of Napa Valley, Calif. But the Warren County Winery Train is providing the same experiences in your own backyard without the cost of a plane ticket. Each weekend from May 5 until Oct. 28 (taking a break while Thomas the Train is in town), the winery train departs Phillipsburg for a 35-minute ride along the Delaware River, depositing guests at the Villa Milagro Vineyard in Pohatcong Township. The route started as a way to boost tourism and get more people to ride the historic steam engine, says Chris Cotty, Vice President and General Manager of the Delaware River Railroad Excursions, which is operated by the New York Susquehanna & Western Technical & Historic Society. “We realized people won’t keep riding the train unless we give them something to do,” Cotty says. When the train reaches Riegelsville, N.J., guests board a school bus for a 10 minute ride to the winery. Cotty says the route started five years ago, originally with a different Warren County vineyard. Villa Milagro came on board three years ago. At Villa Milagro, they’ll get to see the organic and sustainable practices used in the vineyard, view the crush pad and tour the winery where grapes are hand-harvested and hand-pressed. Audrey Gambino, who co-owns Villa Milagro with her husband Steve, says once inside folks can taste the wines and nosh on hot hors d’oeuvres. And she assures that the tour isn’t just for wine aficionados. “To me it’s such a romantic trip with the smoke curling out of the stack — a piece of history,” Audrey Gambino says. The train ride itself is a pleasure for Gambino, too. “I was thrilled because I was a huge train buff,” she says of being approached to participate in the tour. One of Gambino’s criteria for where they opened their vineyard was if she’d be able to hear a train whistle, which Villa Milagro affords. Gambino says that guests can experience the history of the area on the train ride, especially as they pass by historic lime kilns. Delaware River Railroad Excursions is a non-profit group, and everyone who works on the railroad does so on a volunteer basis. 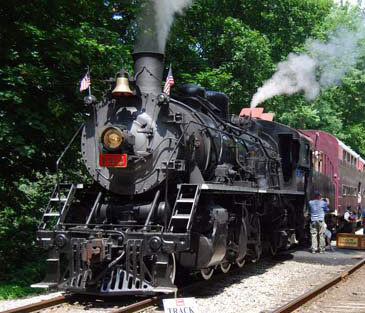 Proceeds from the $35 ticket go toward paying the winery, maintaining the steam engine and rehabilitating the track. The group is also in the process of securing a grant to rebuild the former Riegelsville station, Cotty says. Currently the train ride is limited to 45 people, but if a trip sells out they will add a second group departing at 12:30 p.m. Cotty says the height of the tour season is September through October. Wall Street Journal: Are There Too Many Wine Regions? Are Too Many Regions in a Winery State of Mind? Over the years, wineries from America’s less-heralded grape-growing regions have pleased our palates with all sorts of signature varietals. Think pinot noir from the Pacific Northwest or riesling from New York’s Finger Lakes. But what about zinfandel from…Cape Cod? As strange as it may seem, there’s now a vineyard along the foggy Massachusetts seashore that’s making wine from a grape long associated with sunny California. 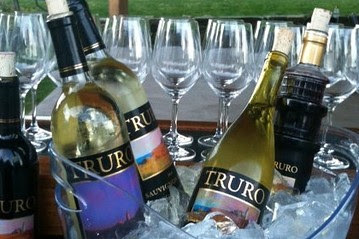 Truro Vineyards, it’s called. And its “Maritime Zinfandel,” redolent with “flavors of currants and plums,” according to the winery, is a popular seller, even if it’s priced – at $18 – above what many quite decent California zins cost. I happened to try the zin when I visited Truro Vineyards on a recent summer sojourn to the Cape. I can’t say I shared the winery’s enthusiasm for it. (My admittedly snarky tasting notes: “watered-down grape juice mixed with witch hazel and a squeeze of lemon.”) But it wasn’t entirely a wasted trip. I ended up liking the winery’s “fun” wines, including the “Cranberry Red” that’s indeed flavored with Cape Cod-grown cranberries (adding to the fun factor: the wine is packaged in a bottle that resembles a lighthouse). And anytime you can spend an hour or so in one of world’s great places – the vineyards are practically within walking distance of the ocean – while enjoying a glass or two of wine, well, what’s not to like? But therein lies the real point – and perhaps the real problem, especially for real oenophiles. The proliferation of wineries – there are some 6,027 in the United States, an increase of 67 percent in just the last six years, according to Wine Business Monthly — may be good for tourism, but is it good for wine? As someone who inevitably does a little stopping and sipping wherever I find myself, I’m increasingly convinced that this movement is largely about wine-as-sightseeing (as opposed to wine-as-wine). Even in Northern California – America’s Bordeaux, if you will – this has become a problem of sorts, with wineries starting to resemble theme parks for adults. The Francis Ford Coppola Winery in Sonoma County, for example, offers an array of attractions of the non-drinking sort, from a movie memorabilia gallery (playing off the Coppola connection, naturally) to a swimming pool (cabana packages start at $90 a day). To be fair, it’s not as if there haven’t been great regional wines to have emerged from what might be dubbed the every-state-deserves-a-winery movement (and, yes, if you must know, there are wineries in Alaska – five of them, in fact). And we’re not just talking those Pacific Northwest pinots. George Miliotes, a respected American wine authority who heads the wine program at the stellar Seasons 52 chain, says he always tries to feature local product on his restaurants’ lists. He’s especially high on the viognier – a floral varietal associated with France’s Rhone valley – that’s produced in the Maryland/Virginia area. But he also agrees that the explosion in regional winemaking has been too tourist-driven and resulted in lots of mediocre wines. “You have to kiss a lot of frogs to find the prince,” he says of his trips through Wine Country, USA. So, as you might have guessed, I didn’t return home from Cape Cod with a bottle, though I came close with that Cranberry Red. Well, let me clarify: I didn’t come home with a full bottle. But my son got a big kick out of the lighthouse bottle that Truro Vineyards uses – a design made especially for the winery by an Italian glassmaker. Fortunately, Truro does sell empties – for three bucks apiece. The bottle proved to be the perfect souvenir. Side dish: Speaking of terroir, you’d hardly find a better example of a true match between grape and locale than sauvignon blanc and New Zealand’s Marlborough region. In that regard, I’ve always been a huge fan of Kim Crawford’s version of the varietal – remarkably low-priced (you can usually find it at Costco for under $20) and just as bright, crisp and summer-y as many a higher-end white. But what I didn’t know is that the Crawford wines also are popsicle-friendly – that is, they work very well in the adult popsicles (meaning ones with alcohol) that are all the rage these days. At a recent media event at New York’s People’s Pops, I sampled a peach-vanilla-Sauvignon Blanc popsicle that was like summer on a stick – and well worth making at home (see the recipe here). • Dr. Godwin Meniru and his wife, Maryann, raise a glass in celebration of Dr. Meniru being named Winemaker of the Year at the 2012 Winemaker International Amateur Wine Competition held last month at Cornell University in New York. Meniru won the honor with his homemade honey wine, called mead. The couple will open their winery and tasting room, called Meniru Meadery, in Jackson Township, this fall. The first wine was a product of honey, not grapes, and it is called mead.. Imagine life during the Neolithic Revolution about 5,000 years ago, when humans first began to cultivate plants and animals. Picture a pleasant summer evening, and a few cave pals are kicking around with their crops and critters when they happen upon a lovely honeycomb. “Hmmmm, looks tasty,” says one, plucking off a piece and pouring the amber into his mouth. “What is it?” the buddies ask excitedly. Mankind has been enjoying wine ever since. That might not be exactly how it went down, but it’s an assumption. The first wine was a product of honey, not grapes, and it is called mead. “That’s the theory, that early man chanced upon a honeycomb that rain had fallen into, thereby diluting the honey and allowing it to be fermented by the wild yeast,” said Dr. Godwin Meniru, a Nigerian-born American who is a reproductive gynecologist and obstetrician, as well as owner of Junaelo Women’s Clinic in Jackson Township, Ohio. Wondering why a doc might be an expert on honey wine? Because about four years ago, Meniru renewed his interest in winemaking, which first began as a teenager in Nigeria. Over the years, Meniru has made plenty of traditional wine, but more recently, he became fascinated by mead. Other nuances come from the flowers the bees frequent. Meniru started producing mead in his basement, with help from his wife, Maryann, and their four children. So tasty was the product that Meniru decided to enter a few wine contests. To his delight, he chalked up some wins. Last year, on a whim, he entered several varieties in the 2012 WineMaker International Amateur Wine Competition, the premier competition for home vintners that, this year, drew more than 1,400 winemakers from all 50 states and seven countries, with a total of 4,318 wine entries. In an astonishing feat, Meniru was named WineMaker of the Year at the award ceremony, held June 2 at Cornell University in New York. In April when I had the pleasure to ride around the North Fork on an absolutely gorgeous spring day, when the greens were still bright, and the sky was blue, and a fresh ocean breeze was flowing through my golden locks....sorry, day dreaming...anyway, I remember it idyllically because one of my favorite stops was the Wine Makers Studio. And of course some of the featured wines were those of Anthony Nappa. Anthony Nappa Wines was established in 2007 by Winemaker Anthony Nappa and Chef Sarah Evans Nappa with the production of 200 cases of Long Island Pinot Noir. While the wine list has grow appreciably, their aim has not been diverted....they focus on small, high quality production. An the wines are generally exquisite. I am a big fan. Anthony has a light touch, and is truly one of those winemakers who lets the fruit come through....especially on his whites and rose's. 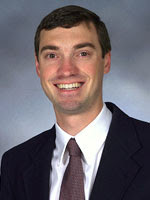 Anthony Nappa studied botany at the University of Massachusetts in Amherst and completed a degree in ‘Fruit and Vegetable Agriculture’ from the Stockbridge School of Agriculture. Anthony went to New Zealand to receive his formal training in winemaking from Lincoln University in Christchurch where he received degrees in Viticulture and Oenology. Anthony has extensive experience particularly in cool climate farming and winemaking. He has worked as a winemaker in New Zealand, Southern Italy, California, Massachusetts and New York where he was Head Winemaker for Shinn Estate Vineyards from 2007 - 2011. Anthony joined the winemaking community on the east end of Long Island in 2007, in the same year establishing his own wine brand Anthony Nappa Wines with the production of 200 cases of Long Island Pinot Noir, aptly named Nemesis. Sarah Evans Nappa studied Animal Science at Colorado State University; during that time Sarah spent a year abroad at Lincoln University in Christchurch, New Zealand, where she met Anthony. After college, Sarah taught English in Italy, Greece, Peru, and Korea and traveling everywhere in between. After 6 long years, the two reconnected and the rest is history. Upon moving to New York she began to pursue her longtime interest in the culinary arts. After working in several well-known New York City restaurants she continued her education at the International Culinary Center (formerly FCI) in the Italian Culinary Arts Program, which brought her back to her beloved Italy. Studying outside of Parma and then externing on Sardinia, Sarah honed her culinary skills in cooking seasonally and locally. Sarah previously worked at the North Fork Table & Inn as Sous Chef. Now she is available for hire as a private chef for small events and dinner parties. 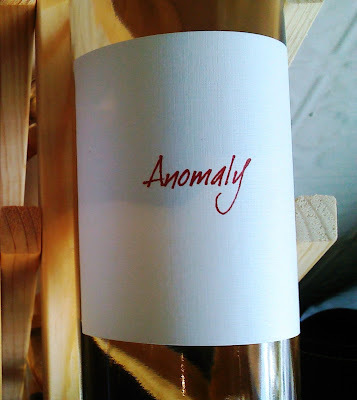 Anomoly - This is a white 100% Pinot Noir obviously made from red grapes. This was a quirky a decision as I can understand. My heart sank when I thought anyone would waste Pinot Noir in such a way....But I have to admit, as soon as I tasted it, I was won over. The color is a super light salmon-y color, more towards white wine than rose'. This stainless steel white was full of exotic aromas on the nose, strawberries and sour cherries came across on the nose. And again strawberries and bright sour cherries also came across the palate. Bu there was a tremendous refreshing burst of acidity at the end leaves the palate clean and wanting more. Fantastic! 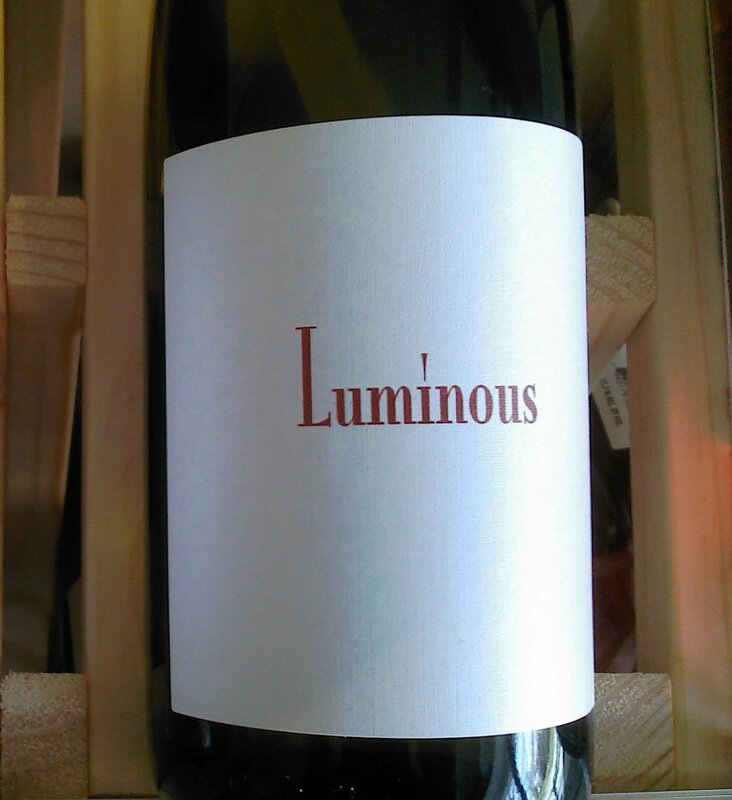 Luminous is a Riesling made from small quantities of fruit sourced from vineyards in the Finger Lakes region of New York. Honeysuckle and citrus blossoms come through as promised. And on the palate there's tropical fruits and bright, apple. There's also a delicateness to the wine, with a hint of sweetness, like you were biting into that fresh apple, sort of like a Macintosh, maybe not so sweet, but with that acidity you love about a Macintosh. The flavor swirled around your mouth, it was remarkable. But like the wine before it, with a great burst it was gone! However, the fruit, not the sweetness, stayed with you for a good 60 seconds or more after each sip. And it was very refreshing. A fantastic wine. This is an exceptional Riesling! This is really exquisite winemaking. And so it occurred to me, that maybe one good chef influences another. Maybe philosophically its possible. Because Nappa treats his wines like a great chef treats farm fresh produce - he features it, he showcases it. Like biting into a fresh peach or apple, he slices and prepares, but he doesn't over season or over cook it. He presents it. An that's the real trick of being a great chef...and a wonderful winemaker. Congrats to Anthony and Sarah! 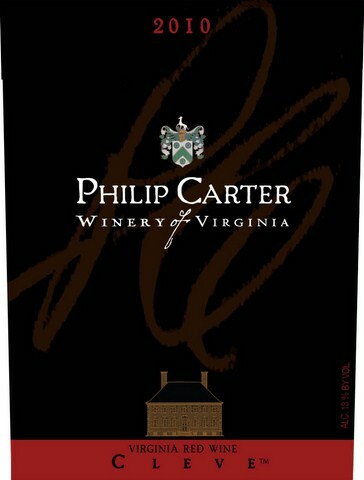 OK, just as recently as March 30, 2012, I reviewed Philip Carter Meritage 2006. A wonderful wine. So I am not going to delve into the terrific backstory that is Philip Carter all over again. However, I would suggest you click through if you want to read more about them. I was luck enough, during Taste Camp 2012 to taste the Philip Carter Meritage 2010, and chose that to write about because the Philip Carter Mertiage wines have been an outstanding success story for them and for Virginia wine! I also tasted recently for the first time their other flagship wine, Cleve! The 2010 Meritage is a wonderful new blend of 42% Cabernet Franc, 32% Petite Verdot, 21% Cabernet Sauvignon, and 5% Merlot. The wine was aged 18 months in French oak barrels. Big nose of raspberry, dark cherry and hint of cassis, a nice does of vanilla and something, (they suggest smokiness) but I am thinking leather? fallen leaves? just a hint...a hint. Big oak to it, with tremendous flair. Big fruit up front with dark cherries, cassis and prunes. The wine is big up front with flavor, and low acids, but with big strong tannins. A wonderful wine. 2009 Cleve. According to Philip Carter this is their flagship wine. This is an unusual blend of Tannat and Petit Verdot (both of which are performing well in Virginia), and is aged in premium French oak for 20 months. This is a big, deep, purplish wine, with huge fruit up front. One the nose and palate you are hammered (in a good way) by a big pot of dark stewed fruits. Prunes, plums, cherries and raspberries, and cassis all come through. But this wine is not a fruit bomb. It is a structured wine, with low acidity, but with big strong tannins and that keep the wine from being flabby. Instead there's muscle to this wine while there is also a sophistication that usually accompanies wine from other regions like Italy or France or Spain. Matter of fact I would posit that this tastes like a rich, Rioja Gran Riserva....and is worth just the same amount of respect. Impressive! Both of these were absolutely fabulous wines! Tremendous. Philip Carter proves that world class wines are being made well and consistently from year to year on the east coast! Exceptional wines! 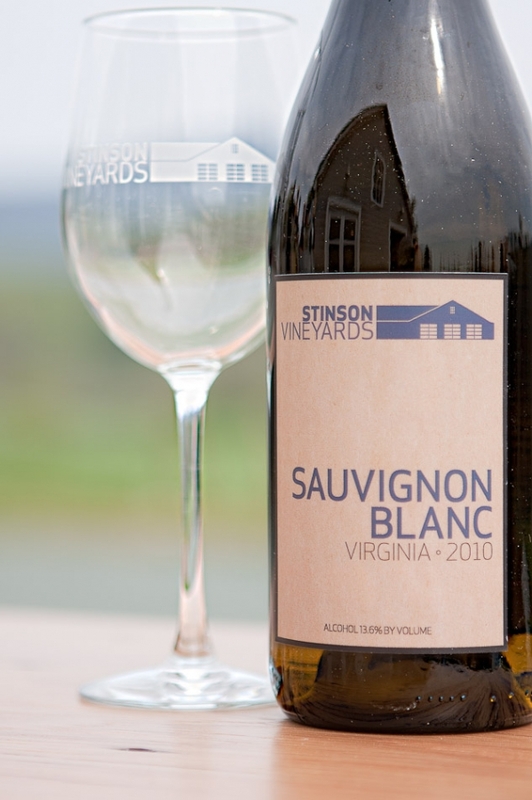 I first came across Stinson Vineyards at the TasteCamp 2012. But even after a quick tasting realized I had stumbled onto something special. This is a serious winery. It made me want to learn more about the vineyard. 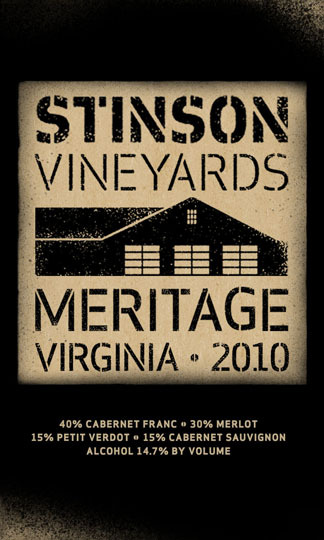 Stinson Vineyards is an evironmentally sustainable, family run boutique vineyard located at the scenic foothills of Virginia's Blue Ridge Mountains. Nestled in White Hall, the winding driveway boasts some of the area's best views. A repurposed garage winery combines modern architecture and equipment with traditional winemaking techniques. 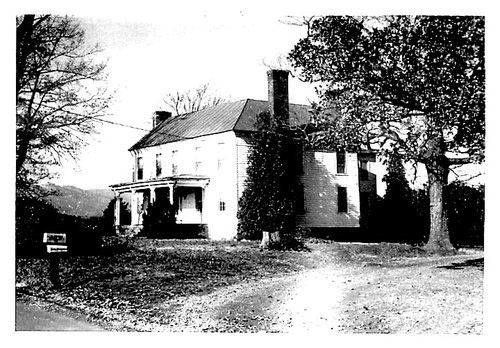 The historic Piedmont House at Stinson Vineyards was built in 1796, and expanded to the current size in the 1840s. Local rumor has it that General “Stonewall” Jackson stayed at the house during his Valley Campaign of 1862. The property now consists of 12 acres, of which the vineyard will occupy 5. The house retains many of its original details and infrastructure as we work to restore it. The first vines at Piedmont House were planted over 40 years ago by Gabriele Rausse. They primarily consisted of Cabernet Sauvignon, but fell into disrepair through multiple changes in owners. After tearing the disease-ridden vines out in 2009, the Stinson family have returned the long neglected soil to a growable state. Their 5 acres are currently replanted with carefully selected clones of Sauvignon Blanc, Petit Manseng, Cabernet Franc, Petit Verdot, Merlot, and Cabernet Sauvignon. The new vines and rows are closely spaced in the French method to promote low vigor. A second round of planting is scheduled to take place in Spring 2012. In the meantime, they are working with carefully sourced local growers to provide them with grapes while their vines mature. Stinson Vineyard's Winery and Tasting Room are custom designed by architect/owner Scott Stinson. Built into the existing garage three car garage, the effect is a modernized, small scale production facility. The unique farm store Tasting Room is integrated into the landscape and takes full advantage of the 360 degree views while showcasing their small batch, limited quantity wines. They also offer Gryffon's Aerie meat, Free Union Grass Farm chicken, free range organic eggs, local produce, and garden fresh herbs. OK, so why do I say they are serious about wine? Let's start with the fact that they ripped out a 40 year vineyard established by Gabrielle Rausse, the father of modern Virginia wine, to replant. That's a commitment! They renovated an old estate house and buildings. Another commitment. They built a state of the art facility and they imported all kinds of equipment and barrels, etc. 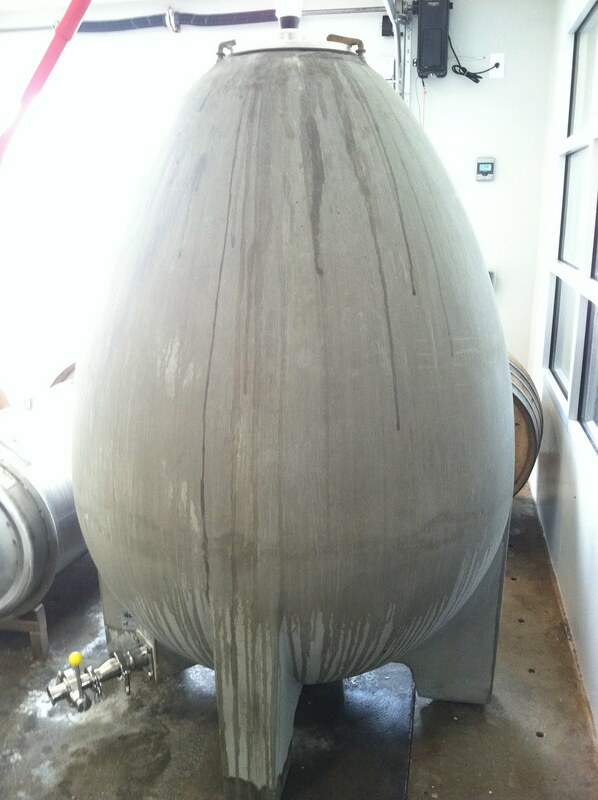 And they bought an egg, the hottest new thing in wine making (....actually old, since the Roman made wine in concrete and clay two millenniums ago). And you can smell and taste their commitment in a glass. From the eyes of this writer, they are doing everything write to make quality wine. For a small winery, these are big commitments. Three wines really made an impression on me. The first of which was the 2011 Sauvignon BVlanc. This wine was fermented in a concrete egg and in stainless steel barrels. This is a light, bright, delicate spicy dry white wine with tropical and grapefruit aromas. On the palate, the wine is crisp and refreshing with a nice big dose of mineral flavors and a big, mouth pucker pop of grapefruit (as promised). grapefruit come through and a crisp, flinty finish. This is as nice a sauvignon blanc as I have tasted from anywhere. A very pretty, elegant wine. A remarkable achievement! Fantastic! 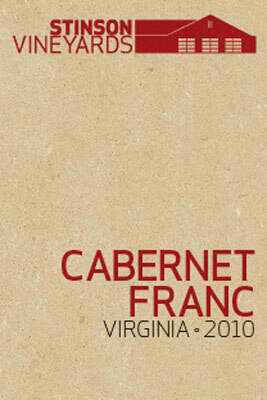 The 2010 Cabernet Franc This is a blend of two different clones. This was whole berry fermented and unfiltered. The wine was aged in 20% new and 80% neutral French oak. This had an amazing big jammy nose. Like a big pot of red and dark berries simmering in a pot. A nice rich red deep in the middle but more garnet on the edges, this dry red wine had lots to offer. Raspberry and black cherry are big and lush up front, peppercorn and tobacco all came through as promised. Nice fruit, low acidity and structured tannins gave this wine the gravitas you'd expect from a good Cab Franc. This was another example of just a tremendous wine, with big fruit, serious intention, and exacting execution. An impressive wine that I would not only serve to friends, but that I would pour for wine and restaurant professionals. Absolutely fantastic! One of the best on the east coast! Exceptional! The 2010 Meritage This is a blend of 40%Cabernet Franc, 15% Cabernet Sauvignon and 15% Petite Verdot. It was aged 18 months in 30% new and 70% neutral French oak. The nose was big dark cherry and vanilla with just a hint of cassis and spice. On the palate, the big, round dark cherry came through, as did hints of cassis and leather. This was a very good wine, with tremendous flavor. Great fruit up front, low acids, and lots of good tannin that will allow this wine to age nicely for years to come. Wonderful! Stinson Vineyards is a wonderful new find. This is a very serious winery, set out ot make great, quality wines. And their first step is to the front of the class, where they join other wineries like Boxwood and The Winery at LaGrange is their quality and execution! You must try these wines. And you must share them with friends! By the way, they have a wonderful and fun blog....check it out! 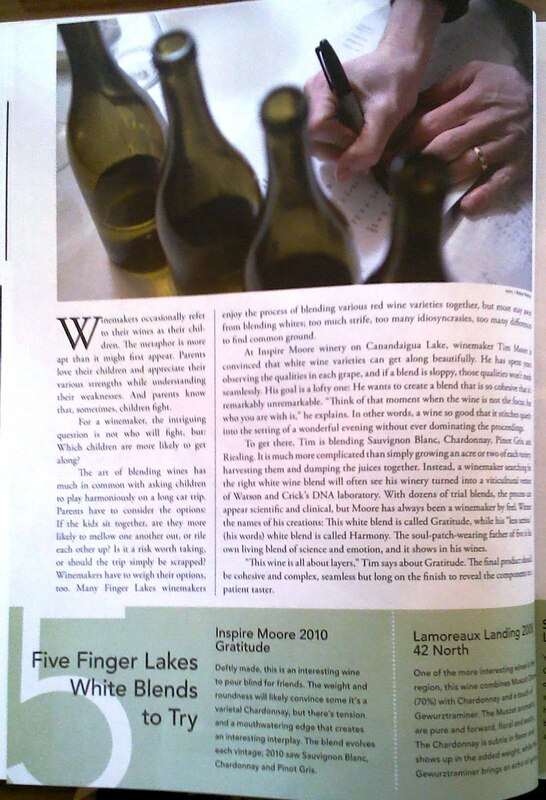 In the Spring 2012 issue of Edible Finger Lakes acclaimed author Evan Dawson (Summer In A Glass) writes about white blends in the region. A fascinating article. Treat your taste buds to a wide array of Hudson Valley-sourced wines, foods, and artisan cheeses at the annual Bounty of the Hudson. Live music and the ambiance at Applewood Winery, this year’s hosting venue, promise to make this delightful vineyard-farm-to-table experience a culinary highlight of the summer. Buy one-day tickets on-line for this annual feast happening in the Warwick countryside on both Saturday, July 28, and Sunday, July 29, from noon to 5 p.m. THE WINE PROFS SERIES: PART 2: MAKING WINE. TEACHING. LECTURING. PART 2: MAKING WINE. TEACHING. LECTURING. The responsibilities of a Wine Prof vary from state to state, and from institution to institution. Some are solely researchers and some are pure winemakers/researchers. 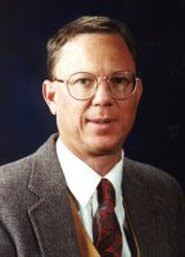 Bruce Zoecklein explained that the positions have evolved over the years. He used to do much more field work in the early part of his career. Now he's almost purely teaching and research, though he does make the occasional trip out into field work. Mostly, Bruce spends a lot of time at the lab he’s set up to analyze wines from wineries throughout the state. The lab does testing of wines, analyzing for H, alcohol, and any number of a dozen of calculations, to let winemakers know that their product is stable, and lets them know if there’s any trouble brewing that they might not be aware of. Bruce has a team of students who help him, and who learn on the job, so to speak. His charges get a lot of hands on laboratory work, practical experience while working with one of the most experienced wine profs this side of the Mississippi. Zoecklein also make lots of experimental wines. He and his students are not just making win. They are experimenting with new grapes, testing strains, testing winemaking from different angles – how does a cold soak affect outcome? How do maceration times affect wine quality? Wine quality, stability, and maximizing flavor are all issues that Zoecklein and his staff strive for. "I have been doing this for about 40 years. I worked for California for a number of years and then at the University of Missouri. I got an offer to come to Virginia in 1985. Possibly the biggest change has been within the land grant system. Early on there was a great amount of emphasis placed on extension services. The emphasis was much more on research. Now the emphasis has become not to visit the farm, but more visit the website and visit the seminar symposium, short courses on a wide variety of subjects. Now there more than 200 wineries in Virginia, and the ability to provide hands on help is limited. Today it’s more about viticulture. It more about special services to the industry. There are no county agents or local agents that deal with vinology, particularly in the last 7 to 10 years," says Zoecklein. "Our primary obligations are research, extension, teaching, and overseeing an analytical lab service. I have as many as 175 students per semester (that limits how much I can be in the field)," he continued. "There are more changes. Among east coast winemakers there’s much more increased sophistication than before. The winemakers want more resolution. We have more programs that are attended by more seasoned and and knowlagable winemakers as anywhere else in the world. And those programs are also attended by those who are new to this. As the veterans gain more experience, and as the industry has grown, we have a lot of new candidates (winery owners/winemakers) that are relatively inexperienced. There’s a real dichotomy growing there. So we’ve had to create more specialized programs which cater to the higher educated group. In Virginia the geographic diversity is greater too. Before we had two centralized locations - central and northern Virginia. Now we have wineries all over the state. The geography and the climates are very different. So we have to deal with that too." Gary Pavlis in New Jersey continues to be a hybrid. He is essentially a viticulturalist, but also makes wine. Pavlis works closely with the state’s wine growers to continually improve their fruit. “What I do really is a transfer of knowledge,” he said. “Grape Expectations,” the viticulture oenological symposium Pavlis conducts in March with the Garden State Wine Growers Association, features presentations by experts on diseases, insects, grape varieties, root stocks and more. He also monitors the wine industry, advising the growers on significant trends. And he conducts the statewide competition to select the best wine and fruit wine produced in New Jersey. Pavlis and his colleagues conduct research at the Rutgers Tree Fruit Research and Extension Center at Cream Ridge in the Freehold area. 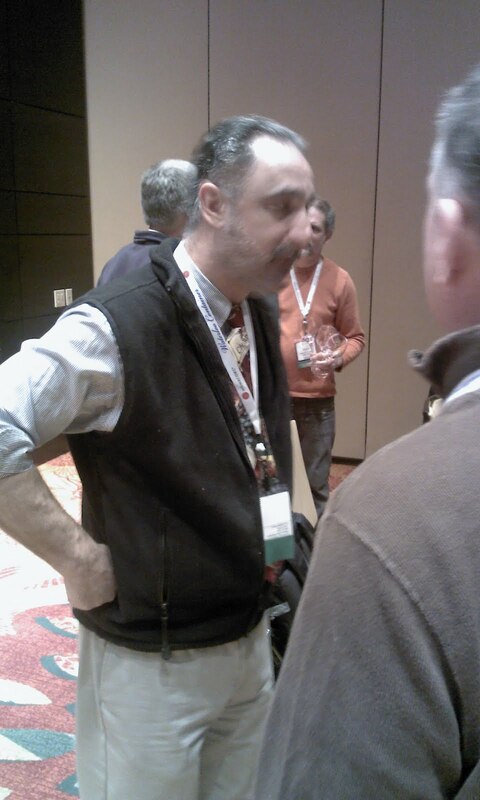 “We do fungicide efficacy,” Pavlis said. “We’re looking at organic materials to control fungal problems.” Pavlis and Sridhar Polavarapu, an associate extension specialist at Cook College, are investigating ways to control insect problems that plague grapes. They also run workshops throughout the year. But Pavlis also spends a lot of time evaluating wines from around the state, tasting wines, looking for faults, and ways to correct them. He is a longtime wine enthusiast with a 2,000-bottle wine cellar. Another task involves evaluating grape varieties. One of the most recent varieties evaluated at the Cream Ridge center is the Traminette. “One of its parents was Gewürztraminer, a Vinifera that couldn’t take our winters,” he said. “But Traminette has some Labrusca in it and its grapes are wonderful. It produces a beautiful wine, and now that we have evaluated it, the wineries have picked it up.” Labrusca is a hardy, Concord-type grape strong enough to withstand New Jersey winters. "The thing is, most of these people did not go to school for enology, “Pavlis says of most regional winemakers. “Let's face it, the California wineries are hiring UC Davis graduates at 60, 70 thousand dollars a year and most of these guys in the East here don't do that,” Pavlis told journalist Paul Vigna of The Patriot-News in Pennsylvania, where he was discussing Pennsylvania wine. “It's more a school of hard knocks, you know. I can tell you Pennsylvania, one of the best things they did recently was to refill the enology position at Penn State [with Denise Gardner]. I can't get that done in Jersey. I make wine, I drink wine, I collect wine, but I'm not trained as an enologist. So if you have a big problem at a winery, often I can tell you what it is, but I can't tell you where you went wrong in the winery. And that's what that enology can do for you." What does an oenologist do on a day to day basis? Lab work? Wine making? Field work? 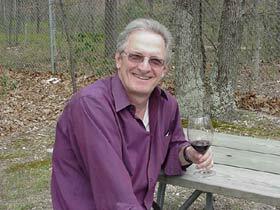 Bruce Zoecklein - We have a research winery at Virginia Tech. Most of my research is very vinicultural. We have students making wine under my direction all the time. Usually for very specific studies, of course. Because we are a research winery, we’re different than a commercial winery. We have a lot of replications of treatments of varieties. It works principally the same, but we’ve focused on aroma and flavor. The only difference between us and a commercial winery is that we’re working on grape derived flavor. We don’t work a lot with wood. We don’t want the wine making intrusions of barrels. We make about 20-40 cases of wine a year. The wines we make are first put through a sensory panel of consumers, who are asked to taste the wines and evaluate them. They are given three wines: two are the same, and one is different. Then we ask the consumers, “Can you tell the difference?” If a consumer can’t tell the difference, then we stop right there. If they can’t, we’ll put it through a trained wine tasting panel. Then we’ll do a round table tasting where we invite wineries to taste as well. We taste our wine and their wines. After they taste our wines, we tell them what our treatments were. 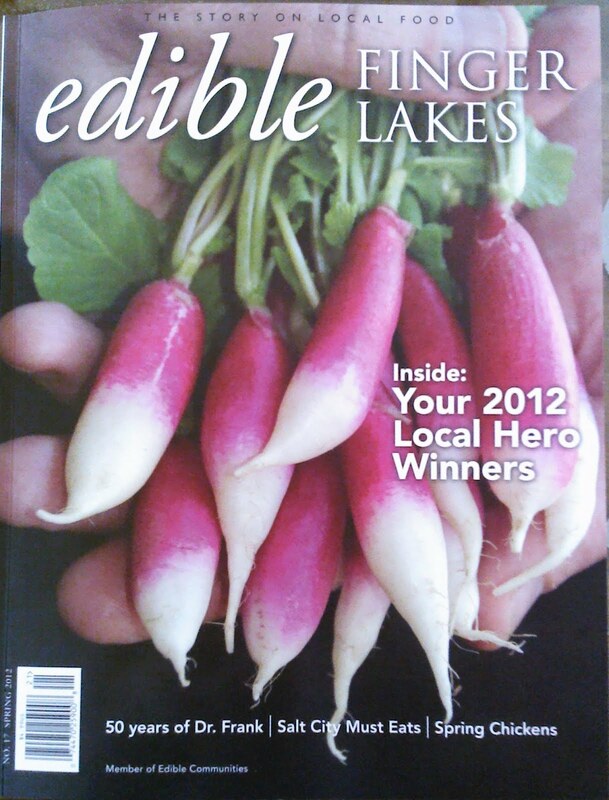 We discuss varietals, clonal differences, fruit grown on the west side…practical applied issues. Anna Katharine Mansfield - Depends on job description! I'm an assistant professor of enology with a research/extension split, so I spend much of the day at my computer- writing grants, writing extension articles for the industry, designing industry workshops, answering calls or e-mails from industry members- or in the lab, directing graduate students in their research (which is generally very applied, and designed to answer industry questions.) Chris and Denise are both 100% extension, so they do less research and lots of outreach- designing shortcourses, answering e-mails and phone calls, etc. My colleagues Gavin Sacks and Ramon Mira de Orduna are enology profs with teaching/research splits, so they teach undergrad and grad classes and do much more research, but don't design or run extension programs, though they often participate in them. Denise Gardner - As the Penn State Extension Enologist, I’m responsible for creating a link between academic research and the wine industry. I do this through Extension and outreach programs, participate in applied research studies, as well as answer individual quality-based questions for wineries. For example, if a winery has a question on wine quality, they can call and ask me for an answer. If I don’t have an answer, I can usually point them to someone else who does know the answer, or do a little research for them. I also provide several educational programs for the wine industry. Many of these programs are hosted at University Park, but recently I co-hosted a Winery Sanitation workshop with Cornell University in Portland, NY. In the next few months, I’ll be traveling throughout Pennsylvania for our PA Wine Quality Initiative program which focuses on sensory training. Additionally, in the Fall, I’m a part of a multi-state grant program that is evaluating several wine grape varieties for the Mid-Atlantic. Therefore, I’m actively involved in winemaking and juice/wine analysis during the harvest months and through December when malolactic fermentation is completed. In a winery, the enologist is usually responsible for maintaining all the quality control parameters of individual wines – from grapes to bottle. Many enologists are thoroughly trained in wine analysis, have some wine sensory training, and also have a firm understanding of winemaking and production practices. Although a winemaker will usually make production decisions (i.e. harvest parameters, blending decisions, etc. ), the enologist obtains data (i.e. pH, titratable acidity, sugar levels, etc.) from each wine and reports it to the winemaker. Both work hand-in-hand to create a wine and make sure it is of particular quality for future sale. In some wineries, the enologist and the winemaker may be the same person. Do you make wine? How much? From what varieties? Why? Denise Gardner - I make wine for research and educational purposes. As I explained, Penn State is a part of a multi-state SCRI grant project. Our part of the project is focusing on grape variety selection for different regions in Pennsylvania. We have about 40 varieties planted at 2 different locations. Last year, in 2011, I fermented about 13 varieties from those 2 research vineyards. Anna Katharine Mansfield - I don't, but Chris supervises operations of the Vinification and Brewing Lab (V&B), which makes upwards of 250 lots of wine each year. Most of my students will work there to make wines for their research projects. The amount we make and the cultivars used vary based on the project goals. Every year, however, we make wines from the selections developed in Bruce Reisch's breeding program, to assess enological viability of potential new cultivars. Chris Gerling - In a given year, we will make wine from a wide variety of the most commonly grown vinifera and hybrid cultivars in NY. If you've heard of more than one person growing it, we probably have done a trial. We are interested in everything from the wine quality impacts of rootstock selection and canopy management to the influence of fermentation temperature and acid adjustment. We only ever keep a maximum of 5 gallons (2 cases) of any given wine lot, and the wine can be used for analysis, tasting with researchers, workshop demonstrations and even in the undergraduate V& E classes. We are not licensed to sell wine- our permit is "experimental." Do you teach classes on a regular basis? Appear at seminars? Denise Gardner - No, I do not have a regular teaching appointment, but I have participated as a guest lecturer for undergraduate classes in which I taught viticulture and enology-based topics. I do teach for a series of industry workshops and seminars. One of our big industry programs is the Pennsylvania Wine Quality Initiative (WQI), which was developed several years ago by our previous Extension Enologist, Steven Menke. This program focuses on training winemakers and winery personnel to identify wine defects and basic wine sensory attributes (i.e. sweet, sour, bitter, aroma, etc.). Anna Katharine Mansfield - I don't teach classes, but hold seminars and workshops for the industry. Every year, we hold the Wine Industry Workshop, which is designed to address questions or concerns we've heard across the state. Every third year, the WIW is combined with NYWGF's Viticulture program, so we do the programming in conjunction with their staff. We also hold a variety of workshops both at the Geneva station (the beginning Wine Analysis shortcourse, Advanced Wine Analysis) or around the state (winery sanitation, making wines from new cold-hardy cultivars, etc.) I also oversee the NYS Wine Analytical Lab, which performs lab analyses for all NY wineries at a reduced rate, thanks to subsidies from the NYWGF. NEXT: Part 3: Housecalls. Travel. 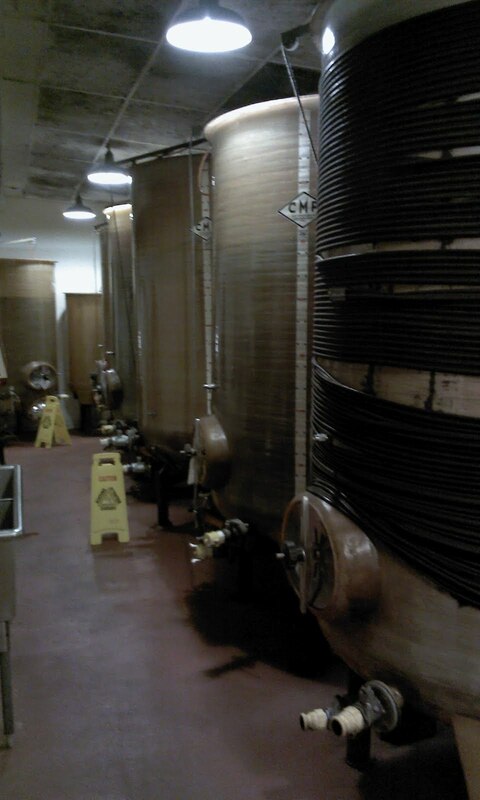 Winemaking.